There are many ways to render lard but our family opts for the two most convenient methods possible: our slow cooker or our electric roaster. 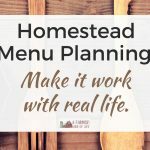 Let me explain to you how to render lard using both methods. First, let me show you how we render lard in a slow cooker. How to render lard step 1: cut up your pig fat. Cut the fat into small chunks. We discovered that approximately five pounds of hog fat will fit in our 6 quart slow cooker. When the slow cooker is pleasantly full, cover it and set the slow cooker on low. How to render lard step 2: cook overnight. Let the pig fat cook on low for about 8 hours, or overnight. After 8 hours—or in the morning—your fat will start to look like…well, really fatty bacon. 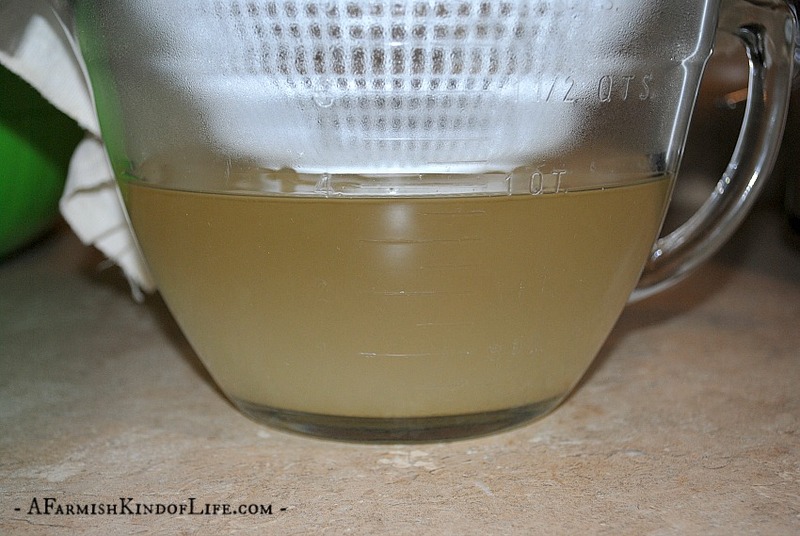 How to render lard step 3: strain off the liquid fat. It’s a 2 quart glass bowl with a colander set inside. 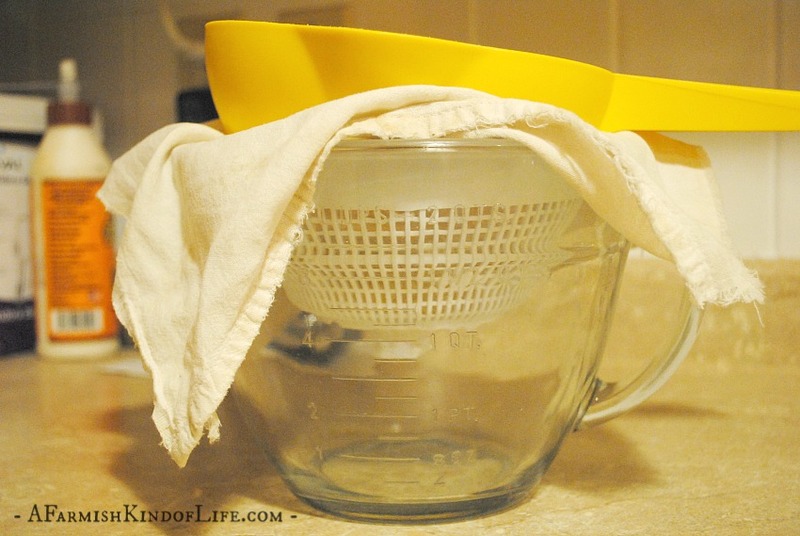 The first colander is lined with cheesecloth—in our case, an old but clean flour sack dish towel—and then has another colander set inside of that. Now take a look at your hog fat. It should be starting to liquefy. Ladle that good stuff off. Pour that into your strainer set up. Catch all that wonderful strained liquid fat. 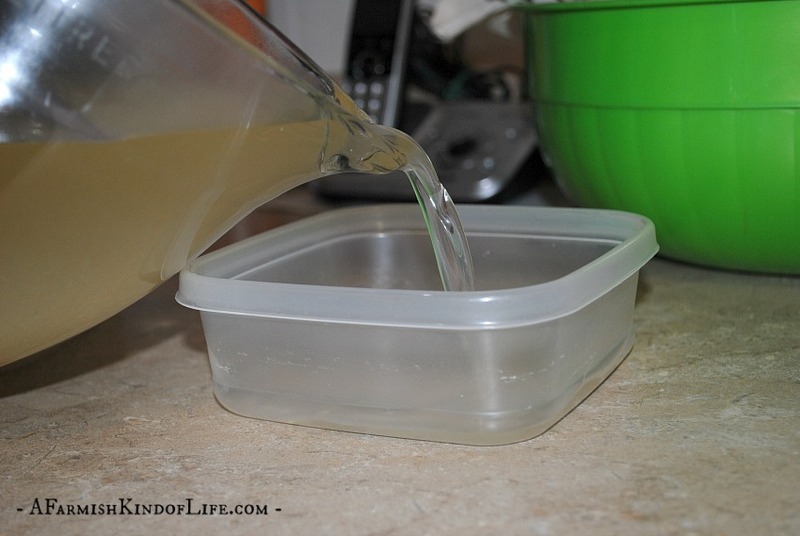 How to render lard step 4: pour into containers for storage. Measure and pour into whatever containers you want. 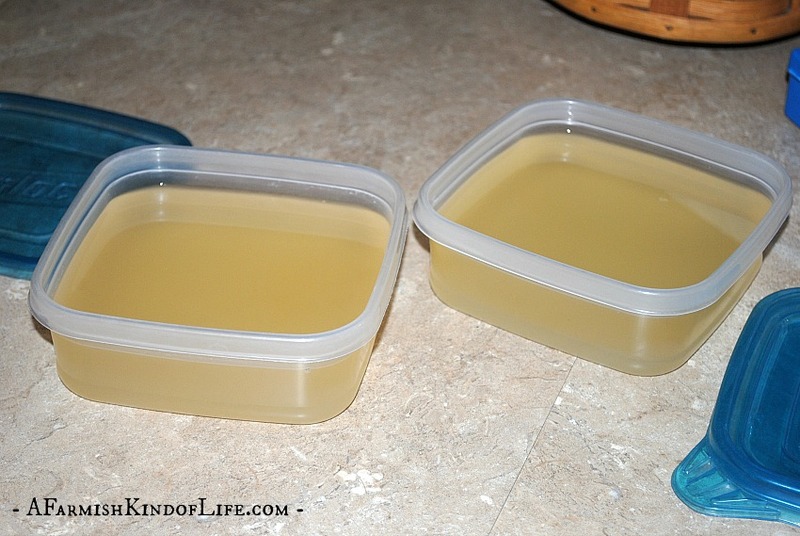 The first time we made lard with a slow cooker, we used 1 pint plastic storage containers. Lard will keep in the fridge for a couple months, or the freezer for a year. But you’ll be using this lard in so many things, you will be lucky if it lasts you that long! How to render lard step 5: repeat the process. Now you know that awesome process I just explained? Repeat that until there isn’t any liquid left in the slow cooker. 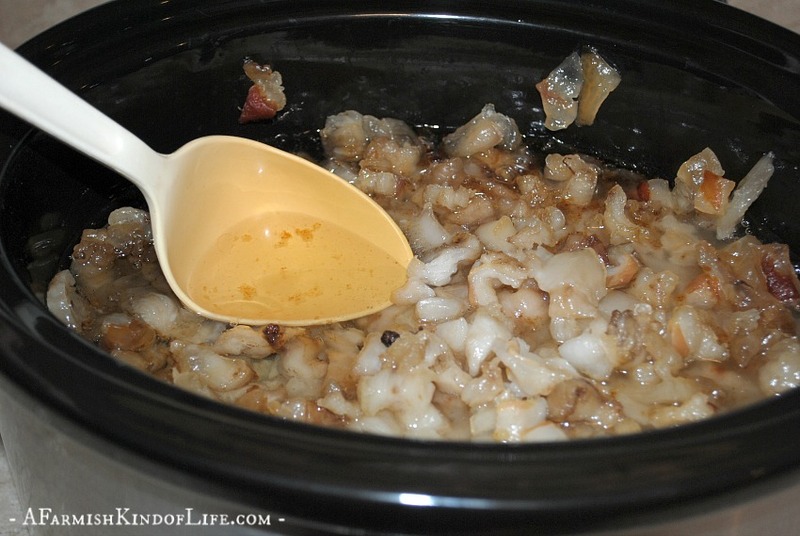 We checked our slow cooker every 15 minutes, for another 2-3 hours, continuing to strain off liquid. (Optional) Step 6: Make Cracklins. So what do you do with all those chunks left in the strainer and at the bottom of the slow cooker? Those could be future cracklins! In a slow cooker they don’t get crispy, so you need to dump the bits that are left into a cast iron fry pan and fry them up to get what most of my relatives think of as cracklins. Then again, we are northerners. Southerners might have a totally different reference point for what cracklins are. Feel free to educate me in the comments. You can put way more pig fat in the electric roaster—I mean, really, load that baby up! Some folks put a cup or two of water in the electric roaster so the fat doesn’t stick in the beginning of the melting process. Set your electric roaster at the lowest setting you can (ours is 150 degrees). You will be tempted to turn the heat up so it all melts faster, but don’t do that! You do not want to burn your lard. Rendering lard is a process. 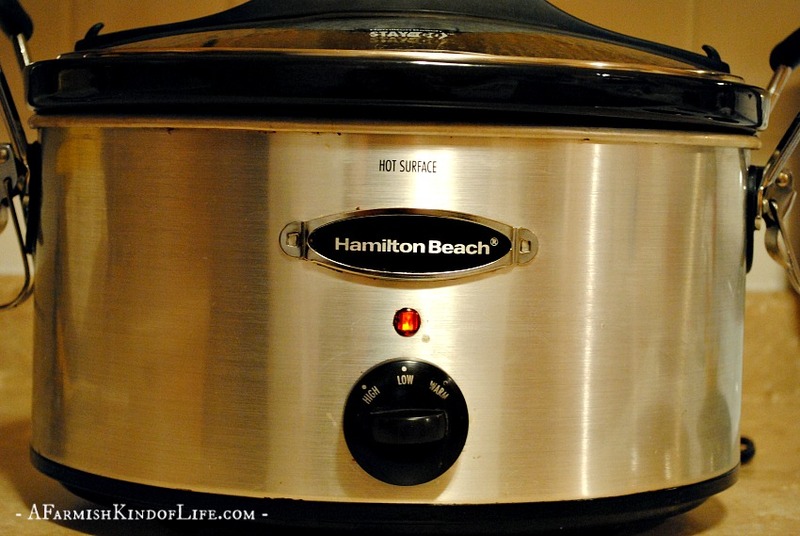 Regardless of whether you use the slow cooker or the electric roaster, this process takes time. 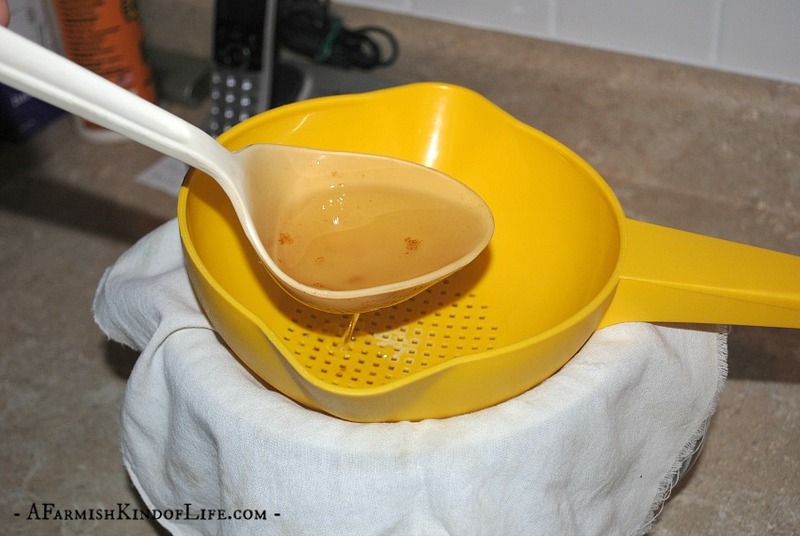 When you can scoop liquid fat from the electric roaster, you can start straining it. After that, follow the same steps as noted above for the slow cooker method. 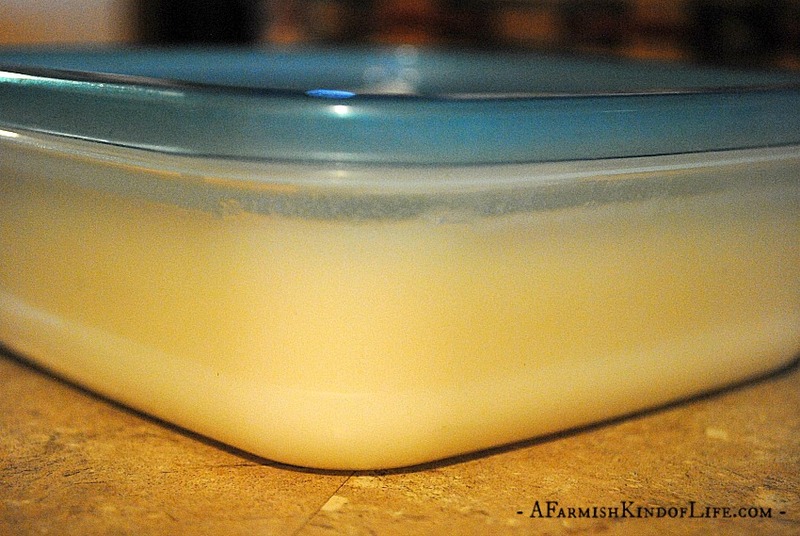 Some folks tell me, that’s cool that you render lard, but what in the world do you do with it? 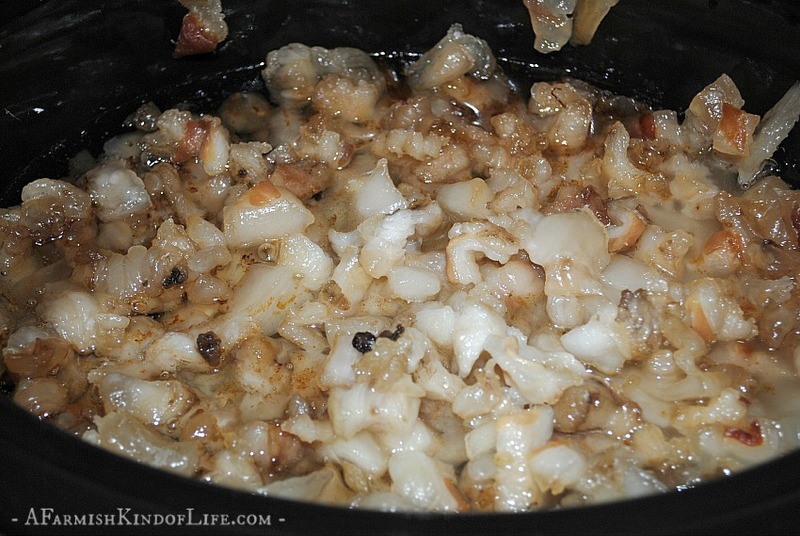 At our house we use our home rendered lard as a substitute for oil in most any recipe. Folks, this is what people used to use all the time. Not vegetable oil. Not olive oil. Not peanut oil. Not coconut oil. Lard. 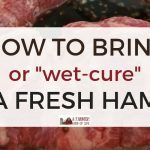 Anytime I get out my cast iron pan, lard goes in it first. Eggs in the morning, sauteed veggies for lunch, fried chicken for supper. Lard is the grease in the pan. Lard is the oil that I fry in. And let me tell you, lard makes the best pie crusts and the best peanut butter cookies you will ever taste. 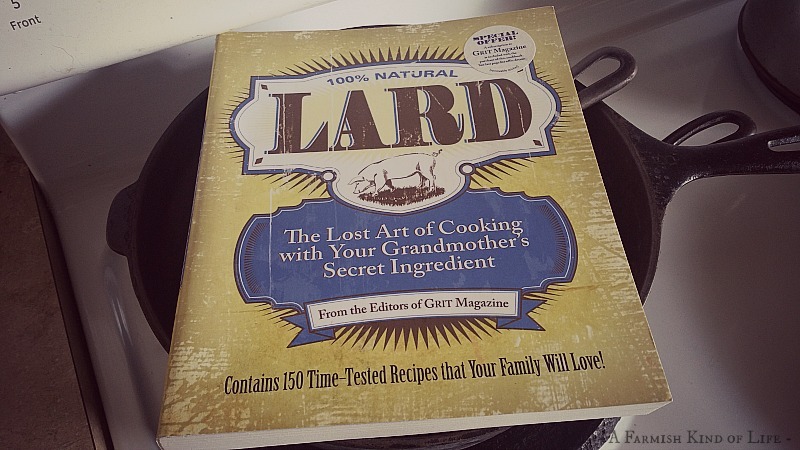 If you’re looking for a great cookbook to tell you how to use your home rendered lard, check out Lard: The Lost Art of Cooking with Your Grandmother’s Secret Ingredient. It’s neat because not only does it have recipes, it’s full of stories about lard, too. You know, like memories of Grandma having used it? Good stuff. But something else neat that we do with our lard is we make homemade suet cakes. I make these by taking a couple 9×13 pans and filling them about half full of seed (black oil sunflower seed, dried fruit, other things my feathered friends like). Next, I pour some of our melted home rendered lard over the top of the seeds. Then I stick the pans in the fridge to harden. After the fat is solid, I cut the big brick of lard and seeds into smaller bricks that will fit my suet feeders. (I usually cut each 9×13 pan into 9 bricks.) I stick them in ziploc bags until my suet feeders need refilling. The songbirds love this suet… but you know who else loves our suet cakes? My chicken friends. They are so excited when I bring them out a new cake. It’s a great wintertime treat for them! So that’s my explanation of two different ways to render lard…and some great things you can do with it. 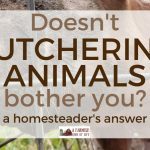 Have you rendered lard before? What’s your favorite way to use it? Excellent tutorial. My Mama used to make cracklin cornbread. Thanks! 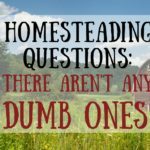 I have learned that when we do something new on the farm, the camera needs to be near because someone will always later ask me "how did you do that?" 🙂 Thanks for stopping by my blog. Oooo doggies, would I love that cornbread recipe!! MMM yum. I bet you can't wait to use it. Those cracklins didn't have a chance, I'll bet. That looks sooo good. While I don't have a lard source, we've started keeping our bacon fat. We just strain it & put it in a container in the freezer & keep adding to it. My grandma used to keep a jar of bacon grease next to her stove, and I know that my hubby grew up on popcorn popped in bacon grease. Oh. My. Yum!! I just tried this for the first time from the leaf lard from a guinea hog. I did it in the crock pot over night. Its now in a mason jar in the fridge but isnt pure white ? its more pale yellow/tan. What did I do wrong? Has anyone tried this with fat from another kind of animal, like a sheep? I have not! If you do, let us know how it turns out!